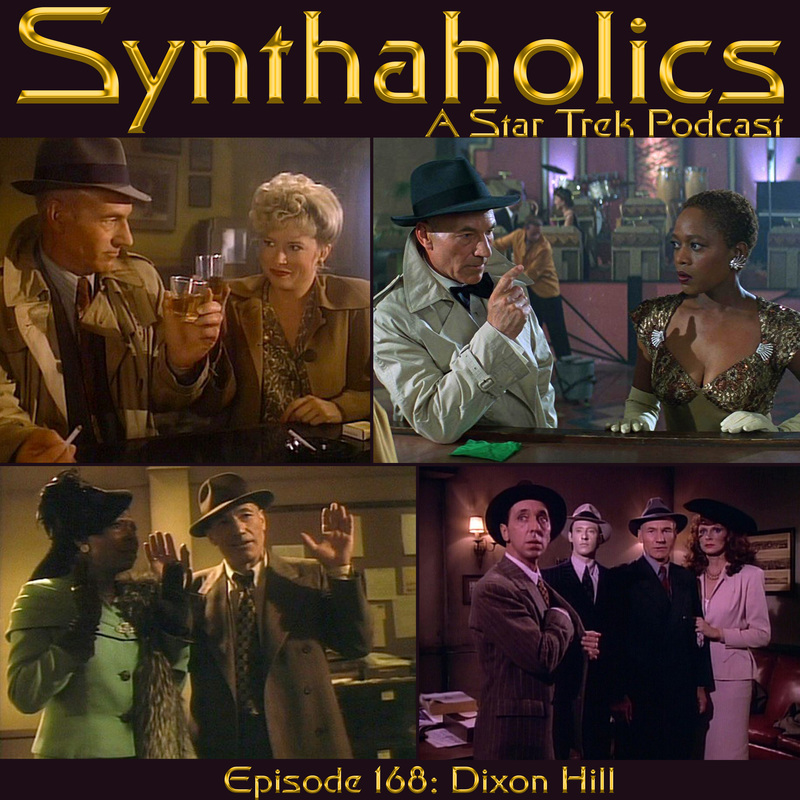 This week Aaron and David discuss the comings and goings of Picard’s favorite Holodeck character Dixon Hill! We were surprised to only find four times where Picard steps into the role of Dixon Hill. The first and most substantial appearance of the character was in The Next Generation season one episode “The Big Goodbye”. 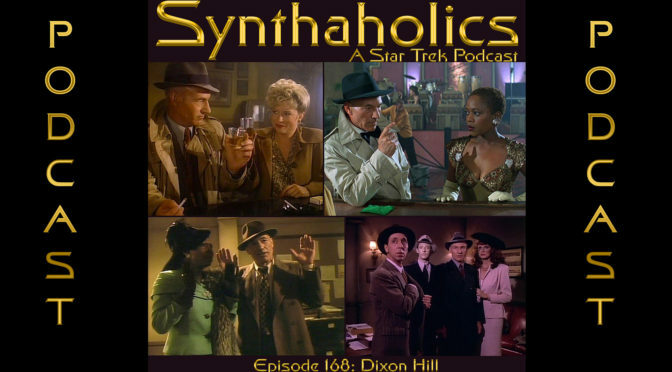 Dixon Hill also shows up in the season two episode “Manhunt” the season four episode “Clues” and probably makes the most memorable appearance in the film Star Trek First Contact. Dixon Hill is a fun character to see Picard play and he is so memorable we could of swore he came up in TNG more often. Be sure to put your drinks on Dixon’s tab at Rex’s Bar, it’s time for your weekly shot of Star Trek. Are you ready for more prime directive? Well we hope the answer is yes because we are moving The Prime Directive discussion into the TNG era this week! 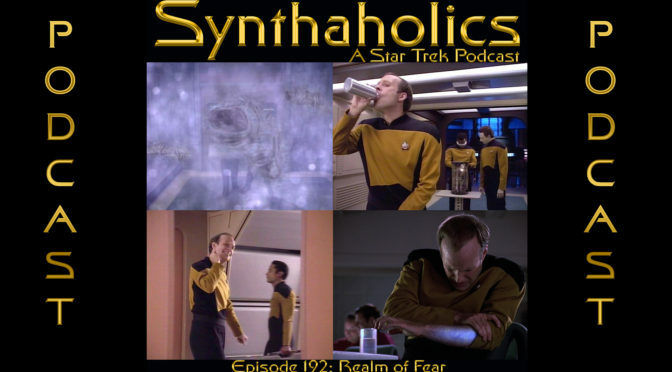 This week we get into classic episodes such as “Justice”, “Pen Pals”, “Who Watches the Watchers”, “First Contact”, “Homeward”, and many others! For the most part we thought TNG would be much clearer examples of break or not break in The Prime Directive. But there were a few we definitely got into some debate over whether or not the prime directive was broken or not. We have been having so much fun going over the ins and outs of The Prime Directive, we hope you are enjoying as much as we are. Break out your post St. Patrick’s Day drinks it’s time for your weekly shot of Star Trek! 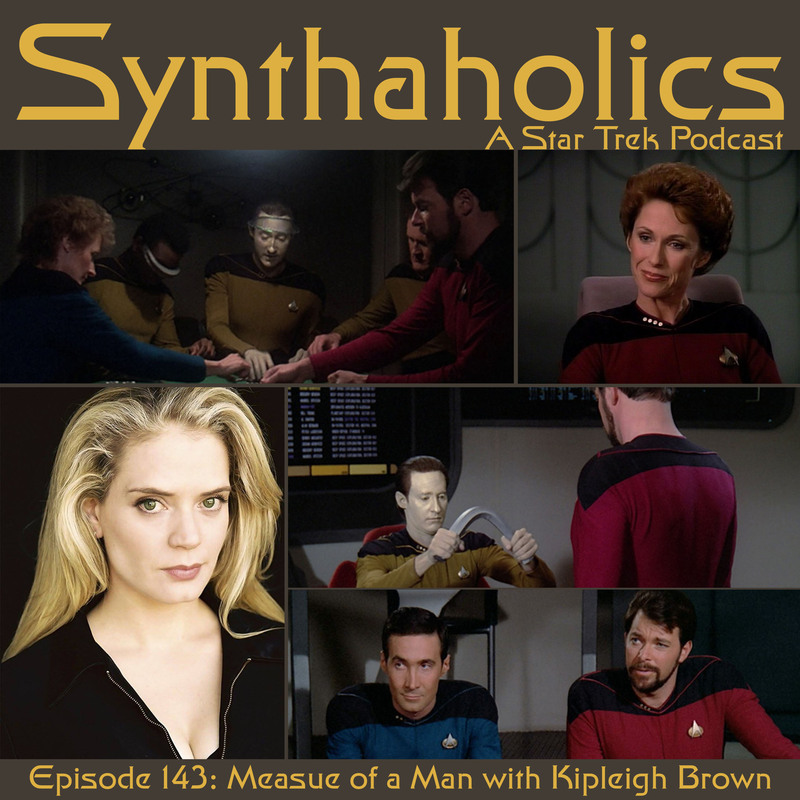 Kipleigh Brown joins Aaron and David this week to talk the Star Trek The Next Generation episode The Measure of a Man. Kipleigh brings some fantastic quotes from the episode as well as some fascinating discussion points. Some of those point include deep discussion on robotics, artificial intelligence, and the double slit experiment. We hope you join us for a great discussion on one of the best episodes from the second season of The Next Generation! Pull out your finest android friendly drink it’s time for your weekly shot of Star Trek! Here are some videos discussed in this week episodes. Jerikandra Cosplay joins on this week to talk about the Star Trek The Next Generation series finale All Good Things. We introduce Jerikandra and talk a little bit about her cosplay and how she got started in cosplay. 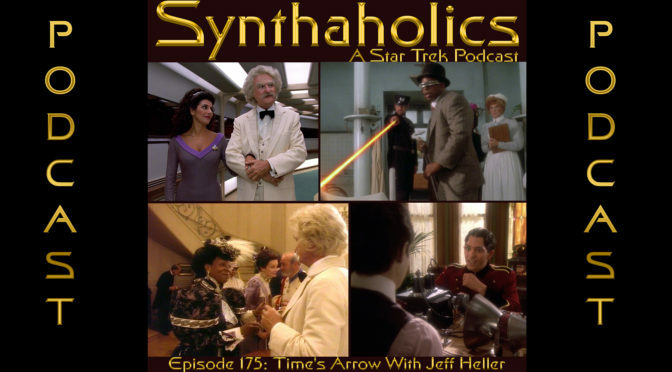 We then get into our episode description of “All Good Things” Once that is wrapped up we reminisce about our memories of seeing this episode when it originally aired and our original thoughts on the episode. We have some fun musings turned rabbit holes about Deep Space Nine, Voyager, and Star Trek Generations. You know what time it is! Break open the Romulan Ale it’s time for you weekly shot of Star Trek. 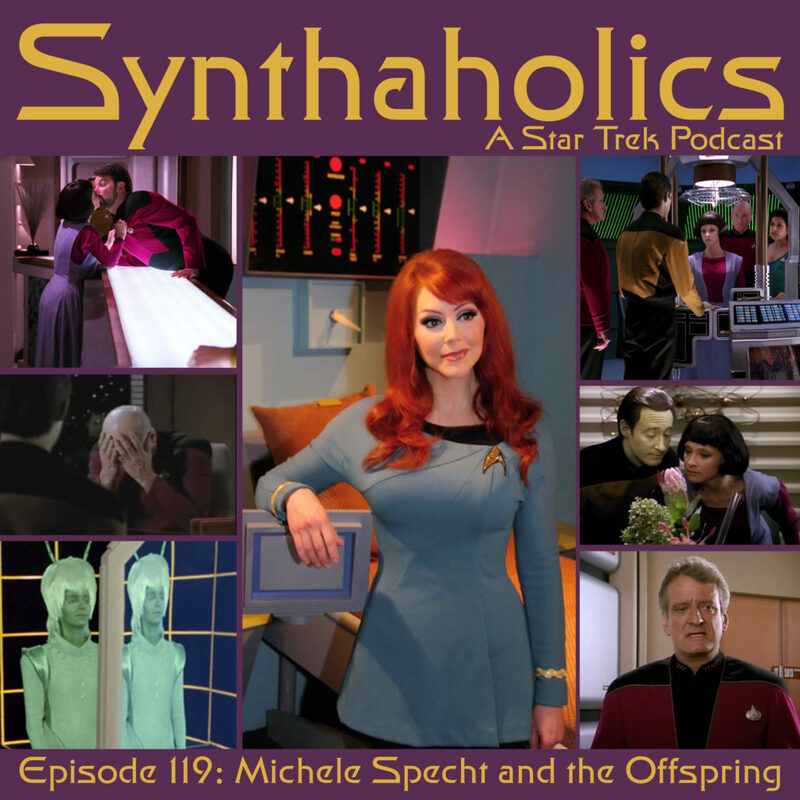 Aaron, Guy, and David are joined this week by Michele Specht to talk The Offspring. 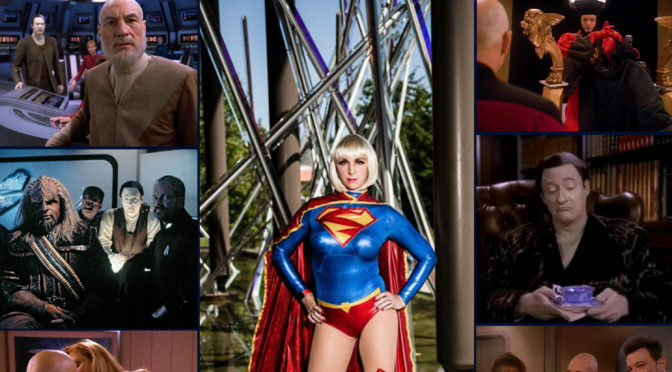 Before we get into the main topic we talk a little bit about Star Trek Continues and how the last three episodes will be debuting at Florida Supercon, Salt Lake Comic Con, and New York Comic Con. The Offspring is a Star Trek The Next Generation season 3 episode. A year and three months ago the last time we had Michele on the show, she told us this was her favorite Star Trek episode. So we had to have her back on the show so we talk with her about The Offspring. You should grab a box of tissues to keep them by your drink you’ll probably need them for this week’s shot of Star Trek! 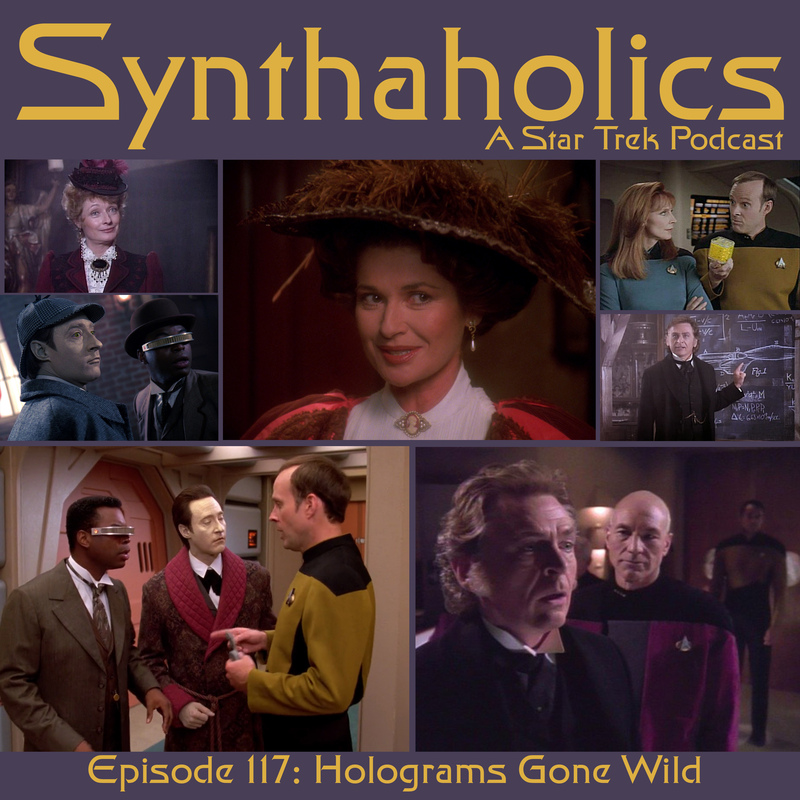 This week Aaron and David delve into the world of Star Trek Holograms Gone Wild this is something we teased way back in the earliest days of the podcast and we are now bringing it to you! For this first holograms gone wild we thought we’d talk about the two Star Trek The Next Generation Episodes that involve Professor James Moriarty “Elementary, Dear Data” and “Ship in a bottle”! These are two fascinating episodes of Star Trek and bring up interesting moral dilemmas such as; are holograms actual life forms, at what point does artificial intelligence become sentient, and are their any safeguards being considered to prevent this from happening? 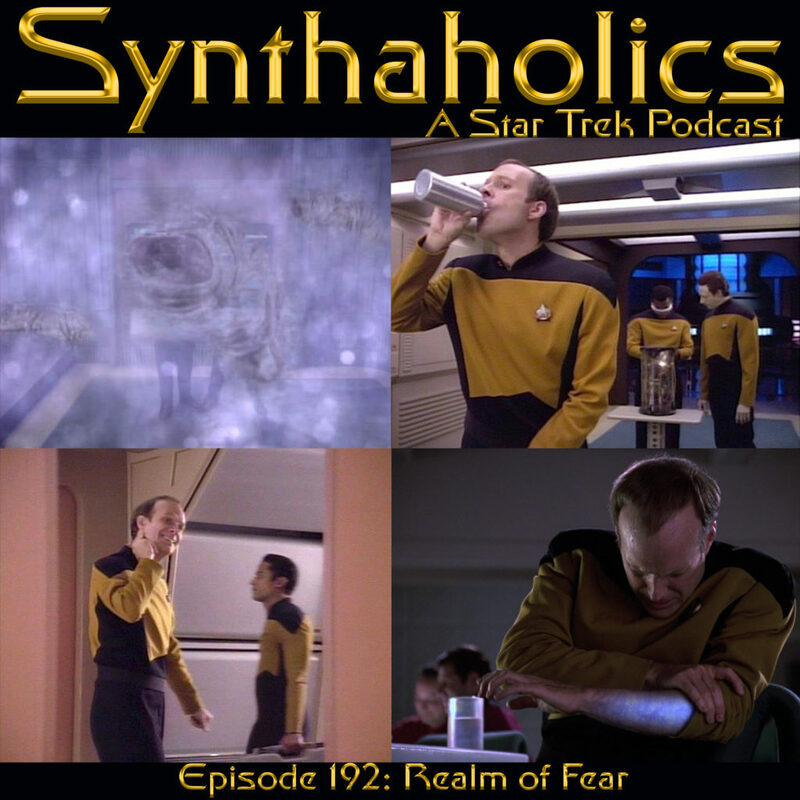 We hope this episode inspires you to watch these two episodes back to back it really is a fantastic way to see“Elementary, Dear Data” and “Ship in a bottle”. What are you having to drink with your weekly shot of Star Trek? When David is missing Aaron and Guy talk Giant cats and comics! 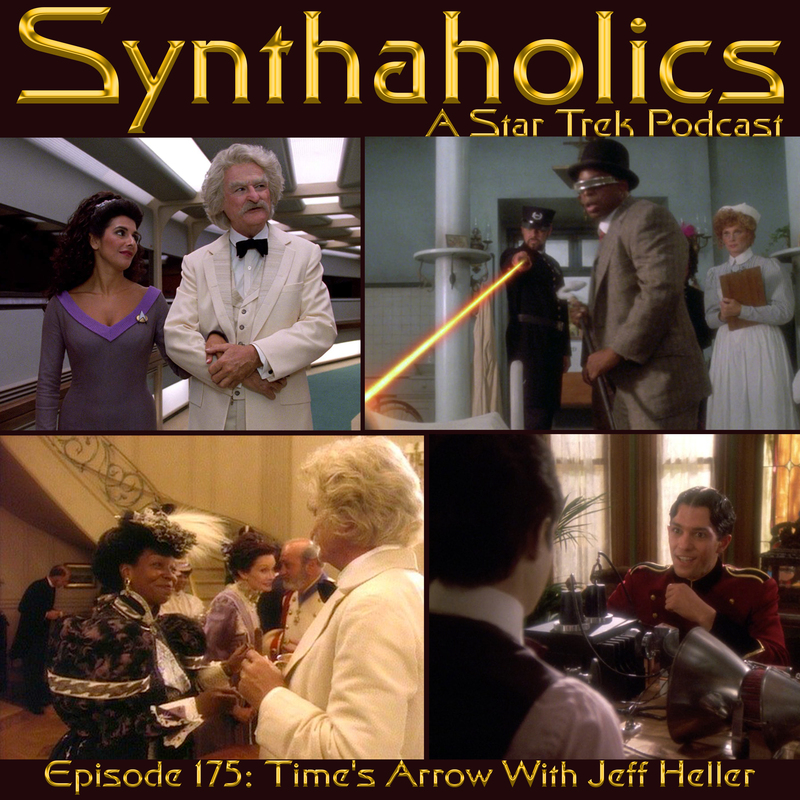 This week Synthaholics goes into a deep dive on the Star Trek the animated series episode The Slaver Weapon. What would you put into a time capsule if you knew everything in it would be perfectly preserved? Lets hope it wouldn’t be a selfie, raw meat, and a swiss army gun. But if you did the Kzinti would probably appreciate it. 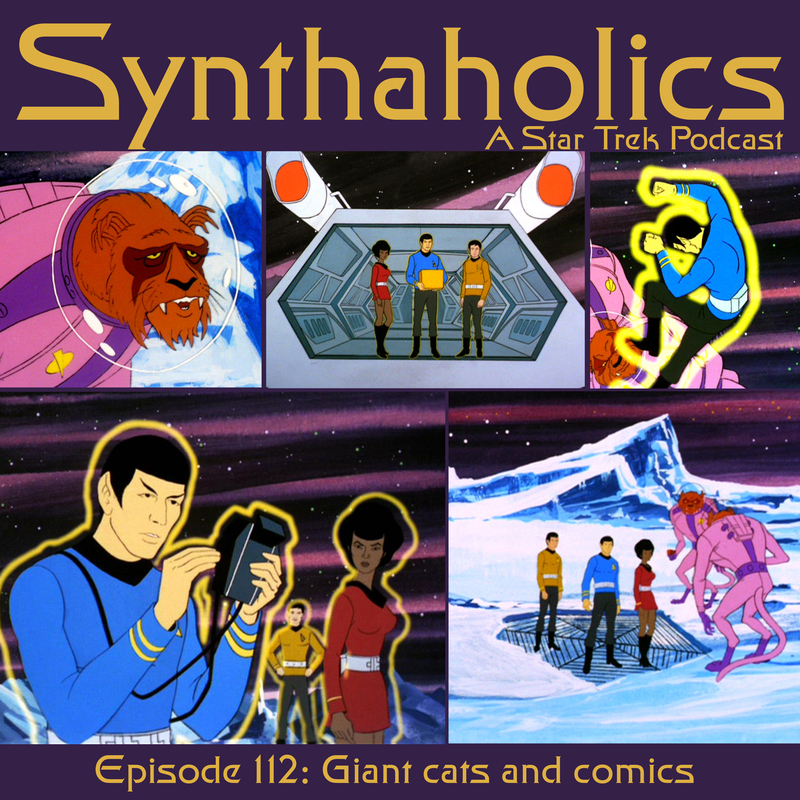 This is one of two episodes where we ever see the Kzinti a bipedal cat like race who is bent on uncovering something to overthrow the federation. Once Aaron and Guy finish talking The Slaver weapon they get into a discussion about Guy’s Star Trek comic the USS Tamerlane. This leads to a segue to a Star Trek The Wrath of Khan and to Star Trek Nemesis! 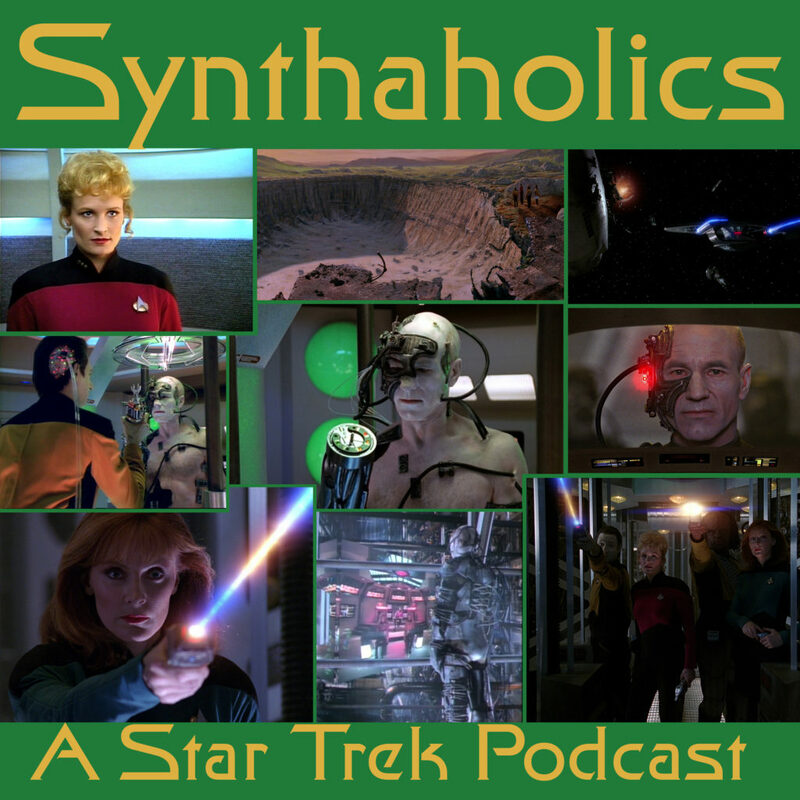 Anything and everything in this week’s episode of Synthaholics! We welcome Chris Scioli, the Marketing Manager and Business Development for Ominous Press (ominouspress.com) and the Co-Founder / Festival Director at Buffalo Dreams Fantastic Film Festival (buffalodreamsfantasticfilmfestival.com), back to the show to discuss the Star Trek The Next Generation episode The Best of Both Worlds. We bring in the new year with an amazing Star Trek episode and rabbit holes into, Star Wars, Superman and Buck Rodgers! We hope you have some drinks left over from your New Year’s Eve celebration it’s time for your weekly shot of Star Trek! Please Check out Chris’s links!